Ultimate Ears WONDERBOOM You Should Get It Now! Do you know everything about Ultimate Ears WONDERBOOM Waterproof Super Portable Bluetooth Speaker – IPX7 Waterproof – 10-hour Battery Life – Cashmere Pink? If no, this is a must-read. 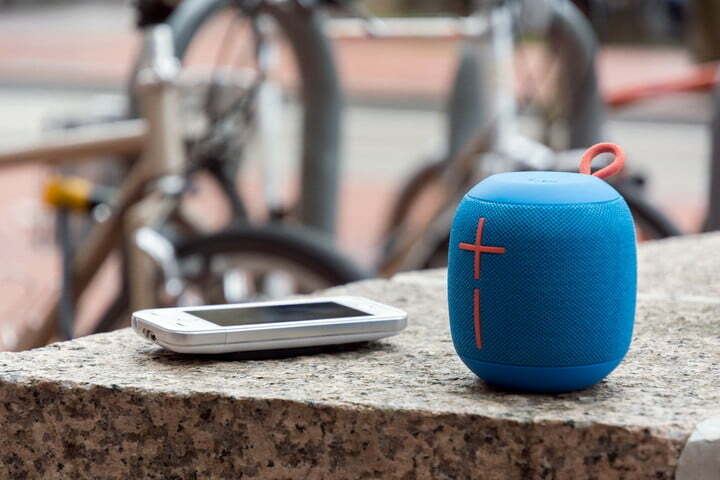 Finding the best Bluetooth speaker for your outdoor activities is proving to be tough. This then means that it has to be small enough for it to be easily portable, but still substantial enough to offer significant sound like the Ultimate Ears WONDERBOOM Waterproof Super Portable Bluetooth Speaker – IPX7 Waterproof – 10-hour Battery Life – Cashmere Pink. You would prefer to hear your music and still have it sound well while you are enjoying your time outside. Furthermore, having good times in the outdoors comes with specific hazards. That then means that you need the peace of mind which comes with water resistance and shock resistance. As earlier stated, this is one of the best portable Bluetooth speakers and is suitable for the outdoors and the rainy seasons. You may be asking some questions about what makes it effective and better? What special things does it offer the users? Well, we are about to unveil to you the incredible design and features of this Ultimate Ears WONDERBOOM Waterproof Super Portable Bluetooth Speaker – IPX7 Waterproof – 10-hour Battery Life – Cashmere Pink. Just read on! The Ultimate Ears WONDERBOOM Waterproof Super Portable Bluetooth Speaker – IPX7 Waterproof – 10-hour Battery Life – Cashmere Pink is one of the simple speakers that you will find out there, and their packaging just reflects that. They have a sliding off o cardboard sleeve and a clamshell-like box which helps in revealing the speaker itself. It also has a bungee hook around a small tab that is within the box to keep it in place. 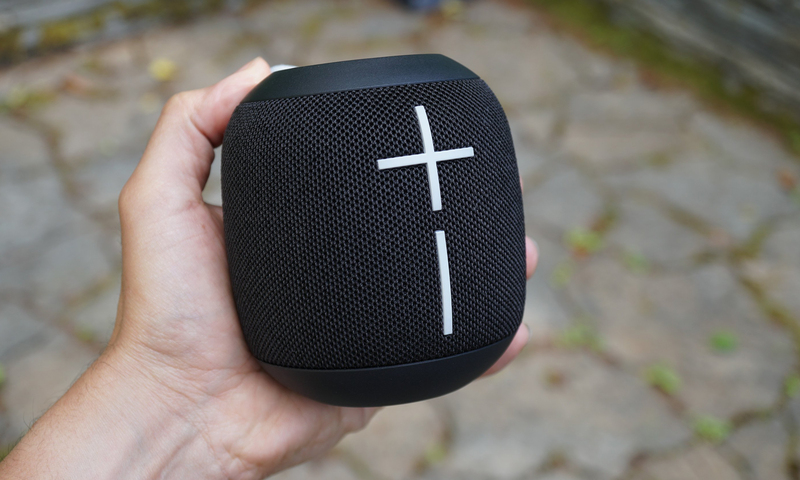 The design of the wonderboom is simple and very neat. The device is a squat cylindrical device which has a slip-proof rubberized plastic capping on the top and the bottom. It also has a hard mesh grille of waterproof fabric which is around the circumference. It is designed with a small bungee loop which sits at the top and its good for hanging the speaker. They have fantastic controls with a power button and an all in one UE button and a large ‘+’ and ‘-’ button for controlling volume. Inside it, there are two 40mm drivers which are supported by two passive radiators. They enable the speaker to have a 360 degree sound output. The durability of the Ultimate Ears WONDERBOOM Waterproof Super Portable Bluetooth Speaker – IPX7 Waterproof – 10-hour Battery Life – Cashmere Pink is more resilient than other most speakers which are sold at a similar price point. The wonderboom floats compared to other UE products which do not and does not need to have a float accessory like the roll2 and boom 2. This then does not mean that it is meant to stay in the water for longer periods of times. 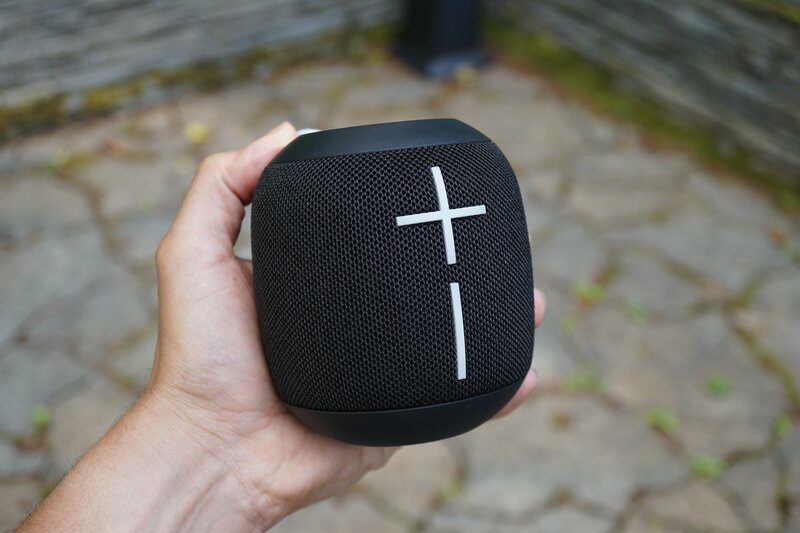 The wonderboom is rated IPX7 waterproof, and it can be submerged in up to one meter of water and does not have an issue. This is a scenario which is very unlikely because it has a buoyant design. They are also designed to be shockproof and can survive a five-foot drop and still be unscathed. 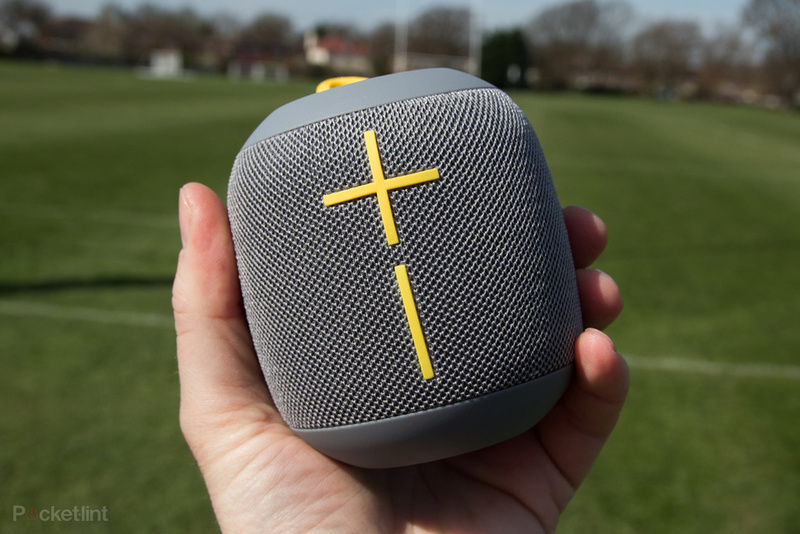 The awesome durability of the wonderboom makes it a no-brainer for outdoor activities. They are mainly for a day in the lake or lounging in the pool. The wonderboom has an awesome interface of bare bones control scheme. Playback functions of the speaker are handled through a single button which is on top. They also have a single tap of it may play or pause the current track. 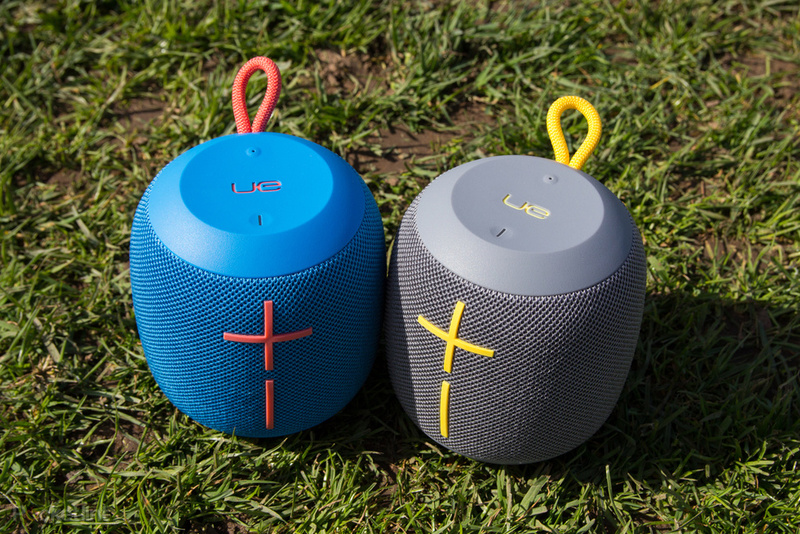 The UE button also enables pairing of one wonderboom to another by holding for quite some time for the speakers to pair. One of the only instructions or literature which is included with it is a small safety and care guide with an easy to read diagram on the interior of the box which shows how to power it on and connect a smartphone through Bluetooth. It also has a USB micro cord shipped with it for charging it. It has 40mm drivers that help it to make a very decent sound output for the size of the Ultimate Ears WONDERBOOM Waterproof Super Portable Bluetooth Speaker – IPX7 Waterproof – 10-hour Battery Life – Cashmere Pink. This is about 86dBA which is almost equal to the loudness of a vacuum cleaner or a blender. This is the point where the 360-degree design of the wonderboom comes in handy to enable you to listen from any angle. The wonderboom can also be audible still in situations where there is lots of background of noise. In the past, we have had other cheaper Bluetooth speakers that have not been able to produce audible sound. They have also failed to be able to compete with this engine because they are entirely audible. The Ultimate Ears WONDERBOOM Waterproof Super Portable Bluetooth Speaker – IPX7 Waterproof – 10-hour Battery Life – Cashmere Pink does well when it is used for outdoor, and this even makes it compete with a well-established lawnmower. Many people appreciate the sound it offers in more ideal listening environments. It also has better bass compared to other UE outdoor speakers like roll 2. Its size helps it to have the low-end performance. The Ultimate Ears WONDERBOOM Waterproof Super Portable Bluetooth Speaker – IPX7 Waterproof – 10-hour Battery Life – Cashmere Pink is portable. Surprisingly, it is big, crisp and clear 360 degrees sound that has a big bass. This is just with a single battery charge. They are very waterproof, and they float and serenades. It has a serious sound despite the small package. The battery life is for up to ten hours from a single charge. Bluetooth connectivity is also possible and it enables you to play music for up to 30 m away. Once you have the Ultimate Ears WONDERBOOM Waterproof Super Portable Bluetooth Speaker – IPX7 Waterproof – 10-hour Battery Life – Cashmere Pink and it is ready to pair, then you have to ensure you turn on the speaker by pressing its power button which is on top. The power indicator glows white, and the Bluetooth connect indicator blinks white rapidly. Then head over to the Bluetooth menu and scan for any close devices. Select the UE wonderboom from the list that appears. We are comfortable to recommend that you should have the Ultimate Ears WONDERBOOM Waterproof Super Portable Bluetooth Speaker – IPX7 Waterproof – 10-hour Battery Life – Cashmere Pink. That’s because it has a strong case which proves it to become one of the best speakers. It suits the summer with its outdoor activities especially considering that it has very simple controls and setups. The construction of the speakers is also very durable. In addition to that, it is also loud and offers a decent sound and bass. Your favorite tunes will be clear, and you will enjoy listening to it.